How can developers and builders both find value in tendering right now? The market is chasing a flurry of activity and there is no doubt that currently, everyone is in a hurry. That hurry is driving a number of opportunities to create value, most of which are created through certainty and confidence. Tenders that go out with issues unresolved and present uncertainty to construction companies are being treated unfavourably. And no one wants an uncompetitive build at the moment. Smart construction companies and developers are finding ways to grab value, and surprisingly, it can provide a win-win situation for both. Developers are taking time during post tender negotiations to address risk and drive lower prices for construction. And it isn’t unfair. Smart developers are increasingly using their post tender negotiations to their advantage. Lately we have worked with several developers; pulling apart their tender submission from an integrated design perspective to develop an understanding of how a contractor has priced risk into the project. By gaining this understanding, a developer can work with the contractor of their choice to clarify specific areas in the tender where the contractor is concerned about risk, and potentially negotiate a lower price for a trade. Contractors are being placed in discomfort on projects with short timeframes until commencement, in hope they will drop their price. And it is working. Developers are using the current economic environment to their advantage, knowing many construction companies do not have full books, and there is a race on to snap up the projects heading into construction. Developers have been calling and receiving tenders, and not communicating back to tenderers for several weeks. In that time, a contractor can clarify their own risk of having priced too high and may decide to adjust their fee. Matter-of-factly, developers are using the discomfort in the current contractor market to drive down the price of construction. However, it is not without due grounds much of the time. Creating that time also allows the contractor to better understand their risk. The limitations of a conventional tendering process often means that a contractor is receiving multiple sub contract pricing at very late notice without the time to assess the risk associated with that price. After the tender has been submitted, the contractor may be able to step back and assess the risk associated with their pool of chosen sub contractors and with time, and time in the market, may make alternative choices which result in a lower tender price to the development. One major industrial company tendering a facility worth about $20M saw this happen, where in the two weeks their tender sat in limbo, all three respondents dropped their price by $1M or more. Risk is being managed with price, as opposed to being avoided. But it can also be reversed to bring construction prices down. Previously, we have found in a buoyant market that contractors have simply not bid on projects that contain significant risk. As the economy picks up in construction, I have no doubt we will see these times again. But for the time being, there is a growing appreciation of the need to manage risk with price. Contractors have become all too aware of the high cost of tendering, with contractors pricing in risk to poorly documented tenders that are likely to be re-tendered repeatedly. We see risk being as high as 10-15% on projects. This occurred recently when a project was re-tendered twice over a six-month period. The first tender went out with DA documents which included unresolved designs, and average prices came back around $12.7M. The second round of tenders went out after detailed integrated design had been undertaken, resolving most of the critical issues on the project. The price came in at $11M. The price of risk was the differential. 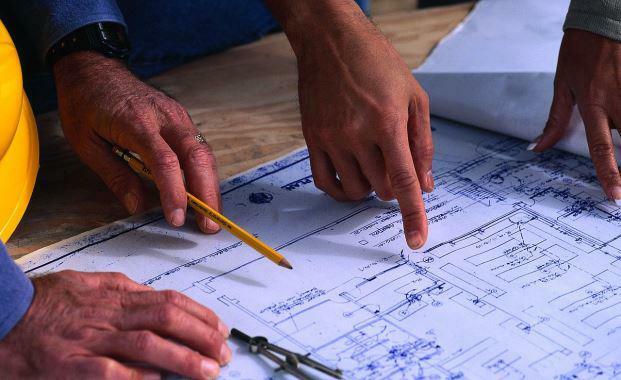 D&C contractors respond well to risk being eliminated through refined and appropriate integrated design that resolves substantial cost and time risks from a contractor’s point of view. In concert with this, we see subcontractors who are proactively managed by their contractors to reduce risk and increase certainty responding well with lower pricing. In a recent D&C tender we had steel sub-contractors taking 3-5% off their price when we are able to guarantee the quantities required. It is interesting times in the construction market. The one thing that makes a difference is well understood, and clearly defined integrated design. With it prices can be managed, construction confidence built and value driven. Without it, higher prices are almost guaranteed. Michael McVeigh is the founder and Managing Director of McVeigh Consultants, a multi-disciplinary engineering firm based in Brisbane. He has 25 years experience and technical expertise in industrial building design, structural and civil engineering and project management.